Android and Windows Phone handsets will both soon feature a "kill switch"
Google announced on Thursday that it will be adding a "kill switch" with the next major build of the Android OS. The "factory reset protection solution" is designed to eliminate the incentive for a thief to steal a smartphone. If the handset cannot be turned on, it will have no resale value and therefore, it would not be an enticing target for a thief. Microsoft also announced today, its plan to build a "kill switch" into Windows Phone 8.1. Microsoft’s Vice President for U.S. Government Affairs, Fred Humphries, said that the company would add theft-deterrence capabilities to its Windows Phone 8.1 powered models, through a software update. This update would also be sent out to Lumia models made by Nokia prior to Microsoft's acquisition of the firm's Devices and Services division. You can't argue with the statistics, which is probably why Google and Microsoft both decided to join Apple in making smartphones less desirable for criminals to steal. Please since smartphone theft is still a big issue. People "find" phones and sell them on Facebook and Craigslist for quick money. Long overdue. 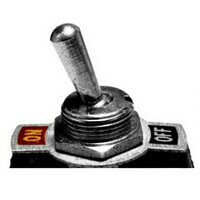 A kill switch is not rocket science. Even Apple can release the function in iOS. It isn't hard to do. The manufacturers just weren't motivated to include a kill switch, 'cause they made more sales of phones as replacements for stolen phones. A quarter after Activation Lock was introduced by Apple, iPhone theft dropped 40% in London, as well as being reduced in other cities. Id love for this to happen with Android. If I cant have MY Nexus 5, NOBODY CAN >:D ! This could come in handy. Please add self destruct too! Lol! Or hold a gun to your head and force you to unlock it before they steal it. Surprise, an article about Microsoft and google that alan found a way to turn into pro-apple. Yeesh. Windows Phones have sort of had a kill switch from day one: All the user has to do is go to windowsphone.com, login, and they can find, lock, and erase the phone remotely. Granted not the full on "kill switch" coming soon, but pretty good nonetheless. "Can't argue with the statistics"? Of course one can! I'd agree that the ability to remote brick the phone (assuming it's yours to brick) is a deterrent to theft, but I have to wonder aloud how much of the year-over-year theft reduction is due to other known factors, including increased popularity of alternative platforms, increased vigilance by the public, and new tactics by law enforcement, such as sting operations in SF. This is great, think of how kill switches deter crime. Kill switches could go on cars, boats, guns, businesses and houses. I think people should be fitted with them also. After all, it's people that commit the crimes. We would all be so much safer. I for one can't wait. Bring it! I want a kill switch in my gf !